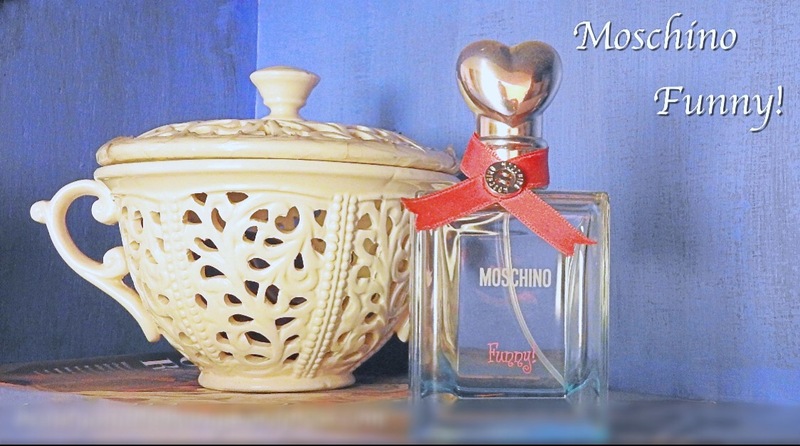 It was on a beautiful, sunny summer morning at a friends house… we were lazying around in our pjs, playing with makeup when I spotted this gorgeous blue glass bottle with a heart-shaped cap & pink ribbon around it’s neck sitting on her dresser & I was mesmerised. 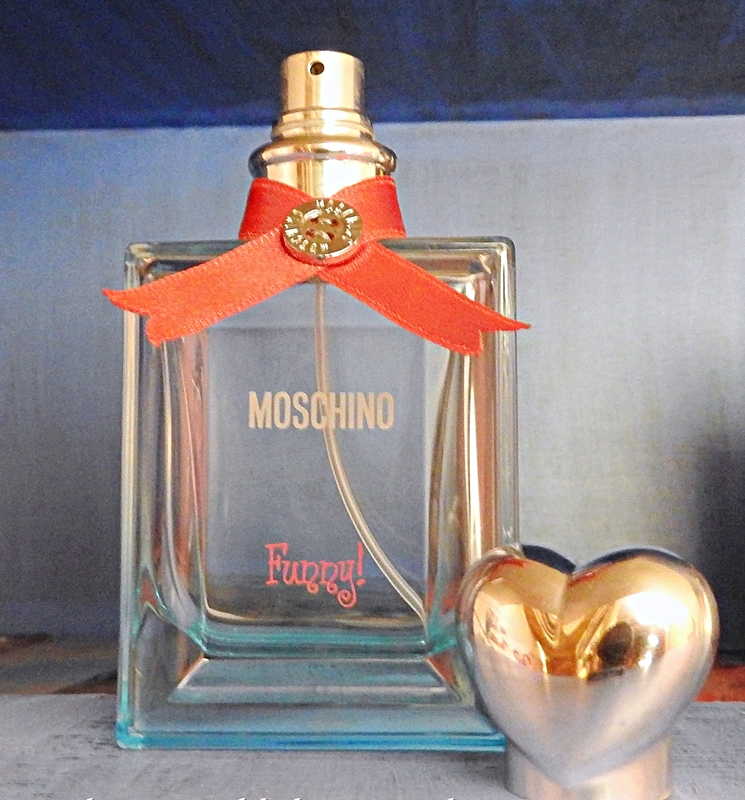 One whiff of this baby & it stole my heart with its playful, girly scent…I knew that very minute that I had to have this in my collection. What I love about Funny! is that it makes me happy…yes happy! It’s the perfect pick-me-up scent, one that will bring a smile to your face every time you spray it on yourself. Now I know what you must be wondering- why the name ‘Funny!’? I too thought the same. It was the first time ever I’d come across a perfume that was named like this and it had me so intrigued, so I did some digging around on the internet. The story behind it is that Antoine Maisondieu– the man behind this beautiful creation- was sitting at his desk brainstorming the formula & he could hear one of his co-workers hysterically laughing across the hall. Now he couldn’t concentrate on the task at hand and got so mad at his colleague that he started to yell at him…Paradoxically, Antoine Maisondieu named this baby after the incident and all the ranting! Coming back to the scent- Funny! is best described as a citrus, fresh, green, woody, soft spicy scent. For me Funny! has the perfect blend of sweet, citrus and flowers. If I were to describe it to you, I’d say it smells very refreshing…fruity, yet clean & fresh… a very enjoyable & inoffensive scent. It’s a shame that this scent has been discontinued, but the good news is that I stocked on a big bottle of this while I could still get my hands on it! This now sits in my collection for very very special occasions or days when I need a bit of boost.